Fiber optics is a technology used in wired digital communication. Also known as fiber-optics communication, it involves the transmission of data as light pulses along a thinly stretched or drawn glass or plastic called an optical fiber. The use of optical fiber for wired-based digital communication has been preferred over electrical cabling or copper-based wires because of numerous advantages. It is also important to highlight the fact that the advantages of fiber optics stem from the advantages of optical fiber. Hence, fiber optics represents a more advanced form of digital communication than electrical transmission. The most notable advantage of fiber optics centers on digital communication at higher bandwidths than copper wires, thus supporting faster data transmissions and supplementing wireless communication technologies. But why fiber optic technology has higher throughput than electrical transmission? The simplest explanation centers on the property of light. Copper or other metal-based electrical transmission systems transmit data as electrical currents. An optical fiber sends data as pulses of light. Note that light is a very high-frequency signal. This means that an optical fiber can carry higher frequency range. The higher the frequency range, the higher the bandwidth. Fiber-optics communication is also suitable for long-distance transmission than modern copper lines because it demonstrates minimal attenuation loss. Current generations of optical fiber systems have an attenuation loss of as low as 0.2 dB/km. This allows transmission over a long distance with minimal to zero need for signal repeaters. An optical fiber can go over 100 kilometers without active or passive processing. On the other hand, copper wiring suffers from losses because of its electrical properties, thereby requiring in-line signal repeaters for every couple of kilometers. For instance, as signals travel down a length of copper wire, it loses some of its energy. Resistance contributes to energy loss and the longer. The longer the cable, the more resistance it offers. In addition, a copper wire losses signal strength at higher frequencies. Another advantage of fiber optics over electrical transmission is that it is immune to electromagnetic interference or EMI due to natural and human-made sources such as lighting, solar flares, and radio jamming, among others. This advantage makes optical fiber ideal in areas with high EMI such as utility and power lines. Take note that metal wires inherently suffers from EMI while an optical fiber is naturally immune from such because of its physical properties. EMI affects an electrical circuit by electromagnetic induction, electrostatic coupling, or conduction. Interference can degrade the performance of a circuit or stop it from functioning. In data transmission, it can lead to an error rate and data loss. Other beneficial properties of optical fiber translate to advantages of fiber optics over electrical wiring or electrical transmission. For instance, because it has a lighter weight and slimmer profile than copper wires, it is more ideal in aircraft, limited pathways, or other use-case scenarios in which heaviness and bulkiness are critical considerations. An optical fiber is also ideal in flammable or explosive gas environments because it does not cause sparks, unlike electric cables. It is also resistant to corrosion because it is a non-metallic material. Furthermore, unlike copper wires, it is also difficult to tap without disrupting the signal, thereby making it more secured. A remarkable limitation or disadvantage of optical fiber and thereby, of fiber-optic communication is that it is more expensive to implement or install than electrical transmission systems. This is primarily due to the high production cost associated with optical fiber manufacturing. Also, optical fibers are more expensive and difficult to splice and terminate than metal wires. Splicing and termination require the use of specialized techniques and equipment or materials, thus requiring a different skills set than copper splicing and termination. Optical fibers are susceptible to fiber fuse. 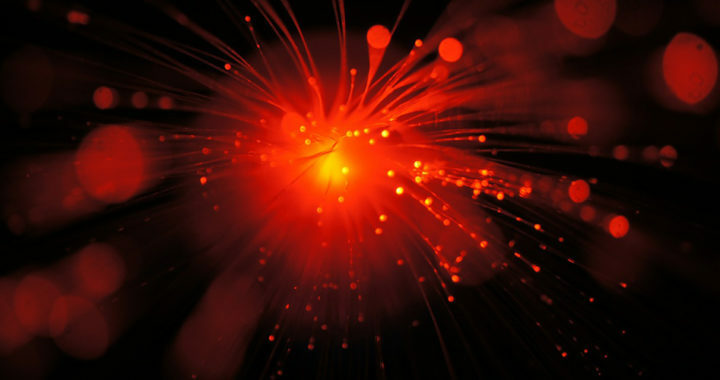 High optical intensities above two megawatts per square centimeter can result in a fiber fuse that in turn, results in the catastrophic destruction of an optical fiber core and damage to transmission components. To be more specific, a fiber fuse appears within a heated region of the cable delivering a few watts of light while running toward the light sources. It can subsequently lead to the rapid destruction of fiber up-stream of the point at which the fuse instigates. Because it is expensive than copper wires, building an optic-fiber infrastructure is not suitable for short-distance networking. Remember that an electrical transmission system has lower material cost and has cheaper transmitter and receiver components. The disadvantages of fiber optics make electrical transmission more common in small-scale applications such as box-to-box, backplane, and chip-to-chip applications. Applying fiber optics at this scale is impractical although such has been demonstrated in laboratories.